Aimpoint is getting into the entry-level market — entry level for Aimpoint, anyway — with its new ACO red dot sight. The ACO, or Aimpoint Carbine Optic, is tailored for the “black rifle” crowd, AR-15s in particular. The design draws on some of Aimpoints existing products, chiefly the Aimpoint PRO, the company’s previous entry-level optic, and delivers on the ruggedness and reliability the market has come to respect from Aimpoint, just at a more approachable price. With an MSRP of $393, the ACO is sure to be a hit with rifle owners of all stripes looking for a non-magnified optic. Realistically the sight will have a significantly lower retail price when it hits shelves later this October. 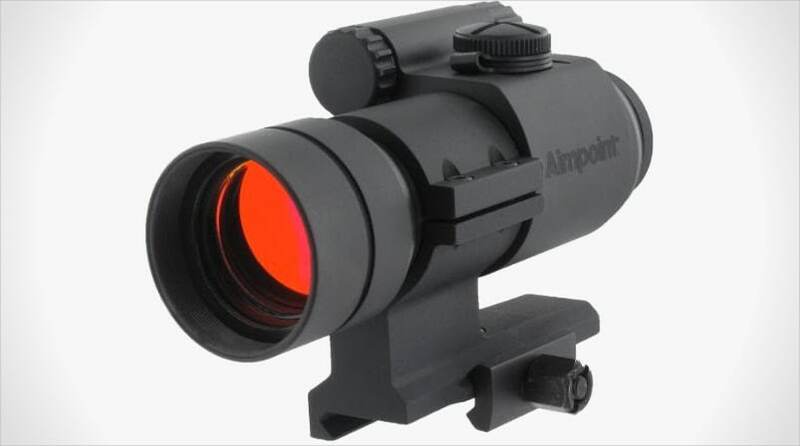 “By choosing this optic, shooters get a premium Aimpoint sight at an extremely friendly price point. If you own an AR-15 rifle, the ACO is exactly what you need to complete the package,” Brian Lisankie, Aimpoint’s president, said in a press release. Of course, with its 30mm tube the ACO can be used with a wide range of rifles but comes with a fixed mount that is set with an absolute co-witness when used with standard-height AR sights, making it a natural fit for America’s favorite rifle. Looking through the sight users are presented with a compact 2 MOA red dot, or roughly a 2-inch dot at 100 yards. Smaller red dots are rising in popularity as they remain just as easy to see but can be used to make precision shots at longer distances. A 2 MOA dot is likely to track well with the majority of potential users. Adding to the small dot and overbuilt design is a long battery life. While not as efficient as the PRO the ACO is still capable of running for up to a year of constant-on use on a single 1/3N lithium cell. About the only thing the ACO doesn’t have is lens covers, which the aftermarket is sure to deal with quickly. Furthermore many shooters won’t want or need lens covers, making this a welcome cost-saving measure, along with the included screw mount. While the market for red dot sights in the $300 to $400 range has a lot of solid contenders in it, the simple fact that the ACO is an Aimpoint optic means worlds. 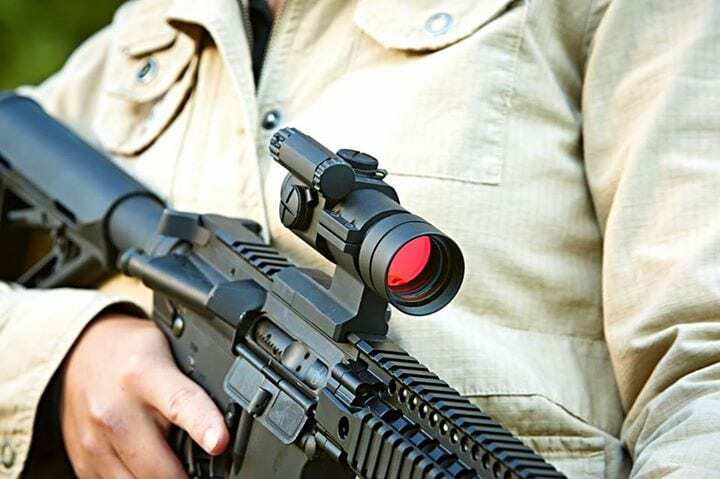 The ACO is poised to be the go-to red dot sight in the mid-range optics market for all shooters, including casual plinkers, serious competitors, hunters and even law enforcement officers on a budget. Details and specifications are forthcoming and we expect to see the information shortly on the Aimpoint website.